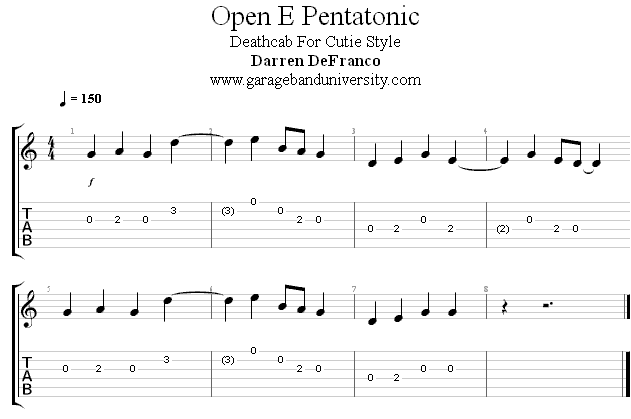 Here’s another example of the pentatonic scale in action, this time it’s an acoustic Deathcab for Cutie riff. Deathcab often uses pentatonic based riffs for their lead lines and that’s just what we’ll learn today. Hope you like the lesson guys! Simply try to get this riff as clean and smooth as possible!